Avoid rust, burnout, grime build-up, grease fires, component break-down and deterioration by purchasing our HIGH QUALITY products and customer service! Expansive 784 square inches of grilling space. 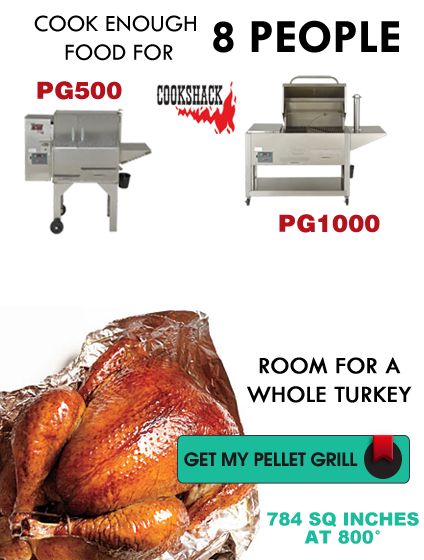 Can reach temperatures up to 800° F.
Large enough for a turkey / food for 8 people! Heavy stainless steel - holds heat outdoors. Electrical components rated for outdoor usage. Generous warming drawer, vital to keeping your food warm while you cook and serve. Large grease bucket. Front access ash drawer for easy cleanup. Contains a grease shield for easy cleanup. 4 Zone Cooking: Direct, Indirect, Top Rack, Warming Drawer. Holds temperatures constant within five degrees, even in cold weather. Able to cold smoke in the warming drawer. Start-up and cleanup is quick and easy. Our pellet cookers and customer service beat out the competition! Stainless Steel Construction for Years of Use. Most everyone has heard the phrase, "You get what you pay for." This truism certainly applies to pellet grills. If you want your pellet grill to last a lifetime, instead of rusting out after a few seasons, make sure your pellet grill contains these critical features. 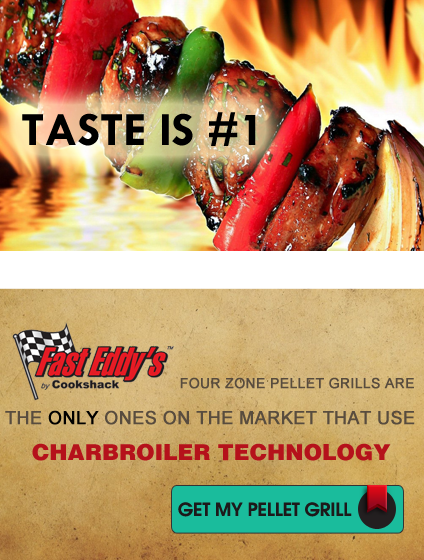 Why buy Fast Eddy’s by Cookshack Pellet Grills? It is easy to see why our pellet cookers beat the competition. 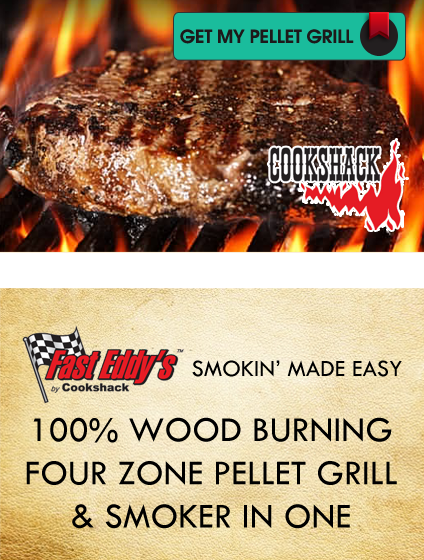 Less expensive pellet grills come with lots of issues you will NEVER have to face with a Fast Eddy’s™ by Cookshack! We produce where it matters most - TASTE! 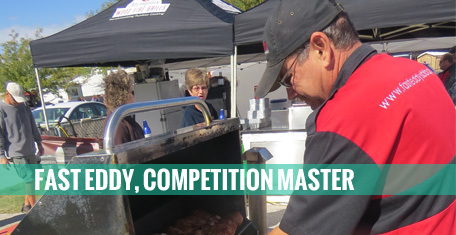 Use what the masters of barbecue competitions prefer!